A few weeks ago, my desktop speakers finally gave up the ghost. These were important speakers; the means by which I listen when working. My ceased-to-be speakers connected to a Mac Mini which ran Squeezeplay, connecting to a Logitech Media Server from where music is served. This prompted a review of my playback setup in my office. Longer term I would like to purchase some good quality bookshelf speakers, but in the short term it seemed an ideal opportunity to trial some music players on my development workstation, replacing the Mac Mini and LMS. I used some basic Sennheisers to replace the speakers. So I took a survey of the new music desktop players that are available. For a world apparently-obsessed with streaming, there's still plenty of innovation going on. So here are a few players I found that are a bit off-the-beaten-track (I assume you know WMP, iTunes, Winamp and the rest of them still exist!). Ideally I wanted some form of networked setup, aping my previous LMS setup but using UPnP. UPnP servers are plentiful and there are some really good examples like MinimServer. But clients (renderers) or controllers? Not so much. Each one I tried seemed to not work with the way I wanted to browse; album centric, by year or genre, focus on album artists rather than track artists... if you know any good clients, leave a note in the comments. 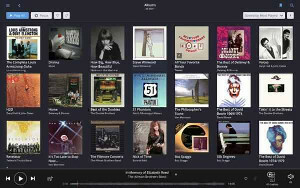 Roon needs little introduction to the audiophile market; over the past few years the team at Roon Labs have managed to spread their ecosystem over varying aspects of hi-fi; in addition to the music player software they also sell music server software and have a certification programme for hi-fi manufacturers to connect their devices to the Roon experience. 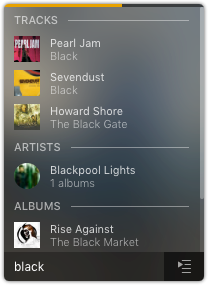 So it's odd to include it on a "music players you might not have tried" list. The reasoning is that it's still outside the mainstream. It's less obscure than the rest of the list, but still, whenever I bring it up in conversation, the reaction is overwhelmingly "huh?". Roon is many things, but it can be seen as an abstraction layer over your music library, aggregating streaming services you are also a member of. So it's not minimal, but it does have a focus on music first and foremost. It's also not cheap, but there is a free trial. 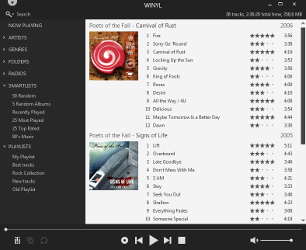 From the makers of Plex, Plexamp is a music-only player (as opposed to the multimedia capabilities of Plex) and majors on visual attractiveness. However, it does need a Plex server to be installed. Format support is good, but overall technical support is a bit lacking, being an in-development product. VOX is a macOS only player with both good lossless and high-res support. It majors on personal, self stored music collections, but additionally can accept feeds and links from SoundCloud and YouTube. It can also play from Sonos speakers. 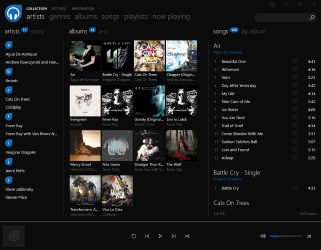 Dopamine is an open source music player, but there are only builds for Windows. It looks very nice and has a modern Windows aesthetic. It includes library browsing by different categories, like genre. 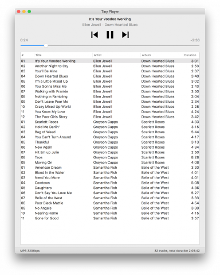 Tiny Player is a minimal, macOS only music player. It has format support for lossless formats. One of its chief selling points is "Not iTunes" which gives you an idea of its author's opinion! For me it's a little too minimal - I prefer a bit more library browsing. But if track, file and folder oriented playback is your thing, check it out. 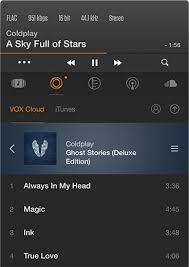 TuneBrowser is aimed at the audiophile, with its own playback engine and support for a range of hi-res formats. Library browsing plays well alongside folder browsing too. Unfortunately it's Windows only, so not for me, but worth trying if you like you're a hi-fi aficionado. Museeks is so minimal it doesn't even have a description on its own website. 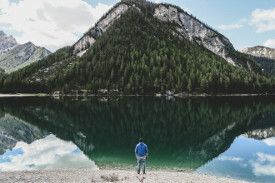 Like Tiny Player, it aims to be first-and-foremost simple and elegant. Like other such players, this means it tends to play down its library browsing and navigation which means its not the player for me, but others might like its ease of use. 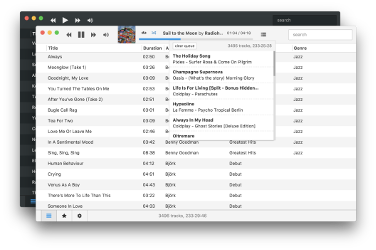 Library browsing is included and there's good support for playlisting and also online radio. Thanks to unsplash-logoPaul Gilmore for the image above.